I challenge you to learn two chords every day, until the last day of the season (December 20). If you've missed a day, please refer to this list. You have your choice between the guitar and the piano (keyboard), or both. 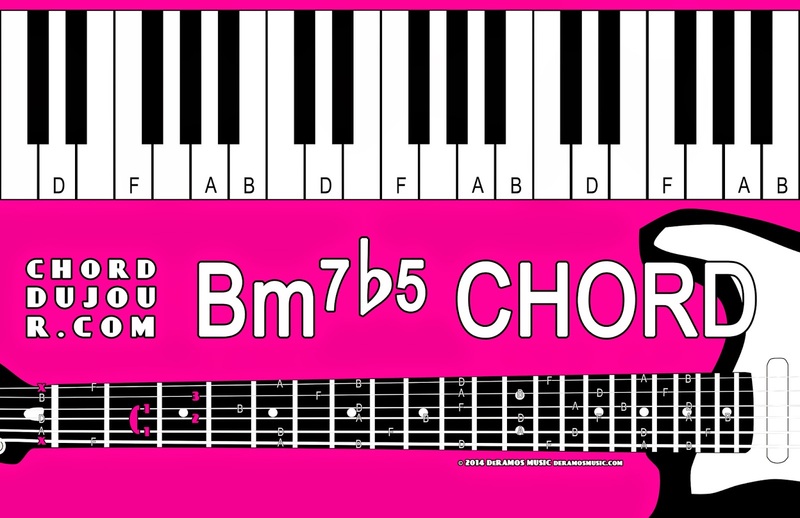 If you're a beginner, I'll show you relatively simple ways to play each chord. If you're more advanced, you'll have the entire fretboard and/or keyboard to explore. Guitarists, you might think of the G7's shape like a C chord, but expanded to the edges of the guitar neck -- your index finger (1) goes to the high E string; your middle finger (2) goes to the A string; and your ring finger (3) goes to the low E string. Keyboardists, G-B-D-F spell out G7. You might notice that there is a Bdim lurking inside of G7. 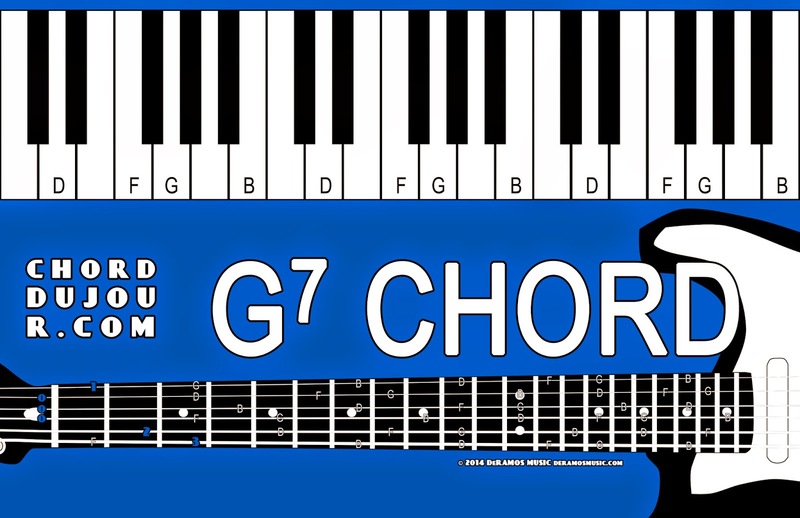 On many occasions, G7 might be a more pleasant (less unsettling) substitute for the B diminished chord. 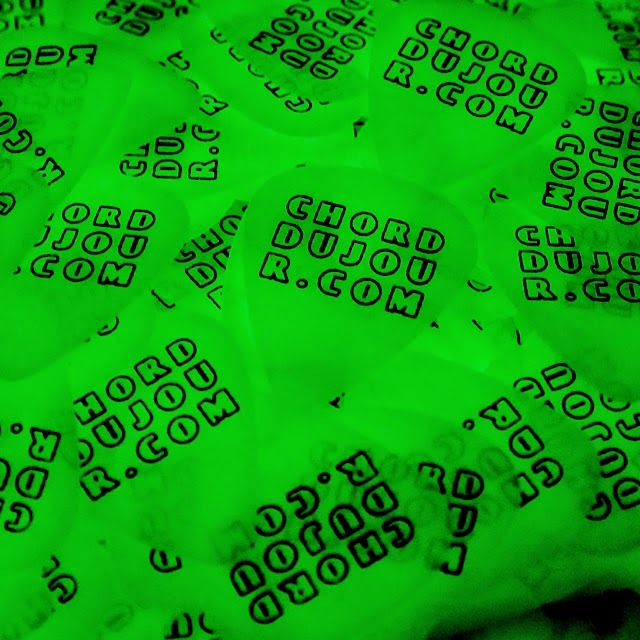 Guitarists, take the Bdim chord, and lift your little finger. Your index finger should be fretting three strings -- A, D, and G strings, but only two of them will count.